Product information "iPhone X / Xs leather case light brown iPhone X leather sleeve iPhone X backcover italian leather"
Trouble-free charging with Fast Wireless Charger "Taurus"
Head of the Class at School of Hard Knocks: The elegant Chester hardcase, made of exceptionally robust polycarbonate is more than tough enough - and thanks to the smooth, non-slip leather cover, it's still a softie on the inside. Meanwhile, the microfibre lining swaddles your phone like a baby. What’s more, the superior Pack & Smooch quality is no marginal phenomenon, due to the slick "Folded Edge" process: The leather is not sealed at the edge, but lavishly and very thinly wrapped around the edges of the plastic shell. 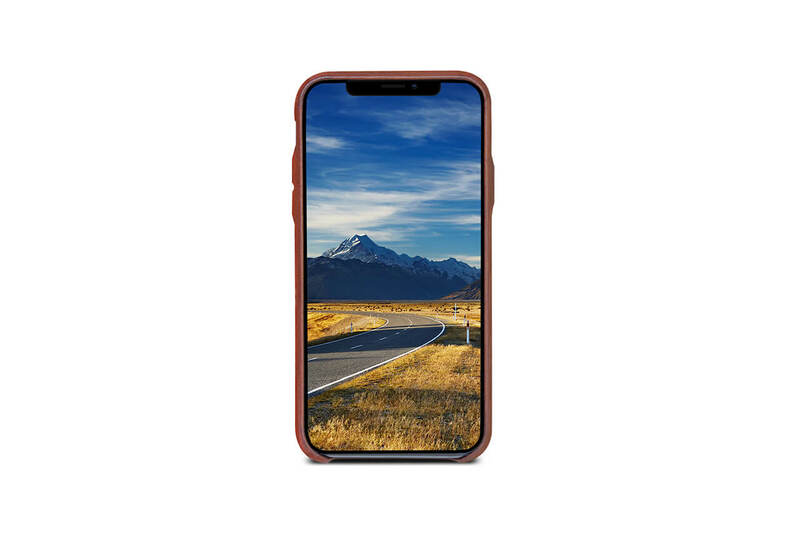 Despite the impact-resistant and robust polycarbonate, the case fits like a glove on your iPhone and you don't even have to take it off to charge it on our Fast Wireless Charger. 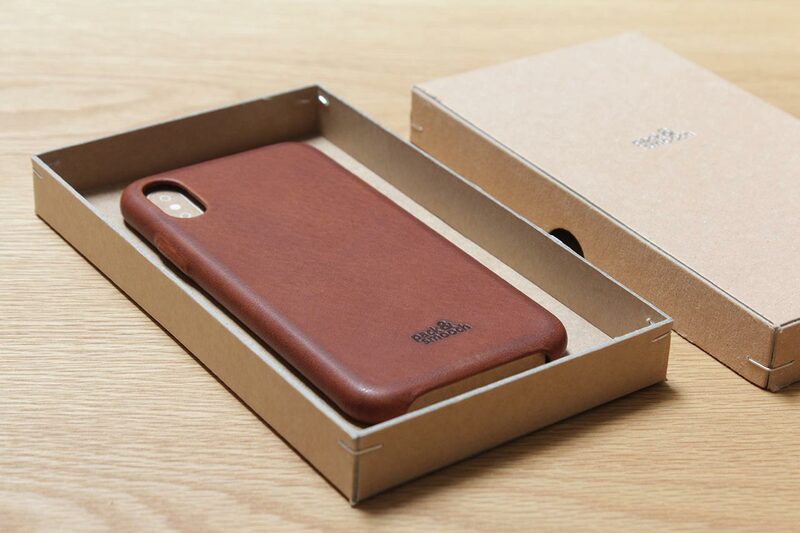 So your iPhone and our Chester really become an inseparable team. 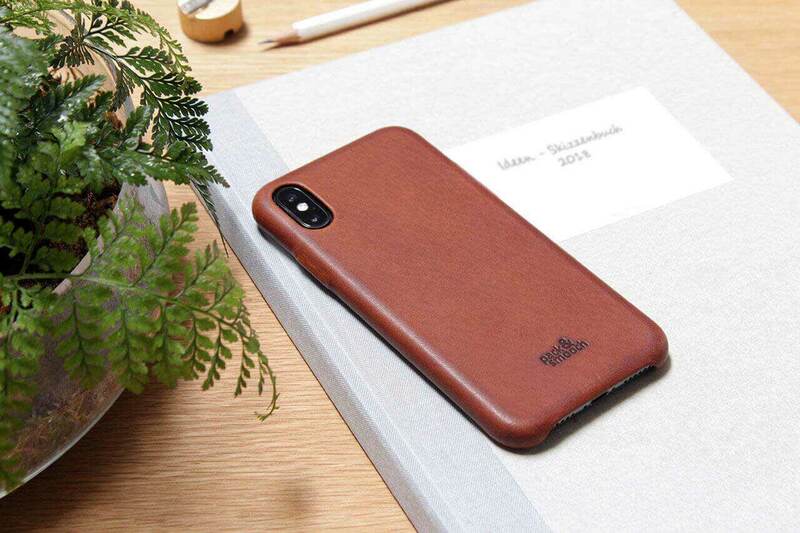 Related links to "iPhone X / Xs leather case light brown iPhone X leather sleeve iPhone X backcover italian leather"
How to care for your cell phone cover: Clean the Chester iPhone case by rubbing carefully with a moist cloth. Small scratches and blemishes can be rubbed out with the use of a damp cloth, but larger scuffs and nicks may require the application of leather wax with a delicate, clean cloth. 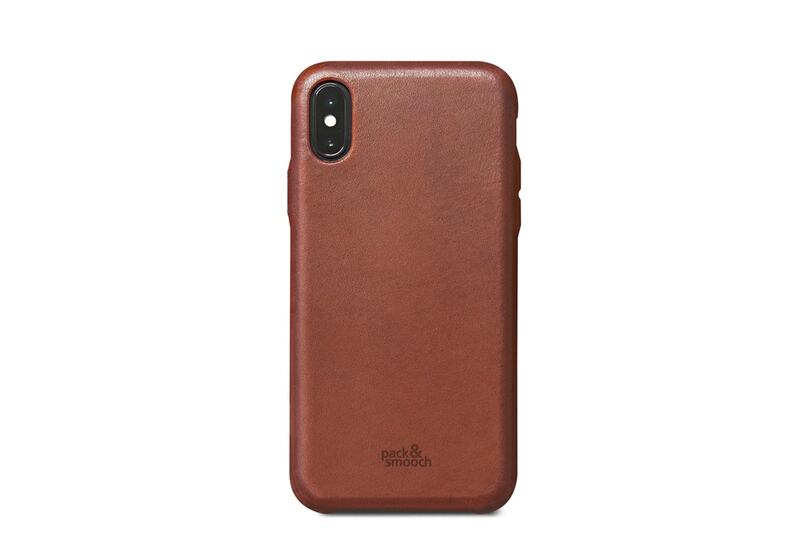 Customer evaluation for "iPhone Hard cover made of italian leather by Pack & Smooch"
habe gestern Abend das cognacfarbene Chester-Cover für mein iPhone X von Euch erhalten und wollte Euch an dieser Stelle ein fettes Lob aussprechen - ich habe noch nie einen so edlen und gut riechenden Elektronikschutz in meinen Händen gehalten ... Meine Urgroßeltern hatten damals in Großbottwar (Schwaben) eine Gerberei und ich musste mich unweigerlich an dieses alte Haus und seine Gerüche erinnern - der Hammer! :) ... dagegen wirkt mein Apple Ledercover meines SE fast schon wie ein Stück Plastik.